Scrum calls them simply PBI’s which is short for for product backlog items. PBI’s are often written as user stories, which can be a powerful technique to capture PBI’s in backlogs. Some user stories turn into so-called epics when they are estimated as infinity. There is really nothing wrong with having epics in a backlog, as long as they are placed low in order. Although agile teams have good intentions these epics can produce huge issues for leadership when they are being neglected during refinement or being used as a grouping mechanism in a tool to organize a backlog (e.g. Jira). slice ‘n size die cut stickers - let us know if you need some of the stickers . We typically ship them with our complimentary Scrum Poster. 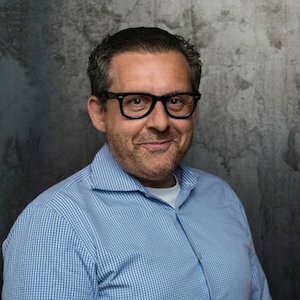 In this webinar, we will explore why slice n’size is not only a favorable technique for development teams, but why Product Owners and Leaders alike should really care about this. In this 30 minute webinar we will look at epics from an angle of innovation, portfolio management, risk and value generation and uncover a bunch of reason why they should be de-emphasized. Jochen (Joe) Krebs pioneered Agile Portfolio Management in 2008 and has been active in the agile community for almost two decades. He is the founder and organizer of the local agile user group in New York City since 2008, the host of the Agile FM podcast, a Certified Professional Scrum Trainer and founder of Incrementor. Joe held director-level leadership positions prior to Incrementor and connects the dots in his courses how agility impacts modern management. He offers a series of Agile Leadership Certification courses in the upcoming months in the United States and Europe you might be interested in as well. We will run this webinar twice that day, which time slot are you interested in attending? Thank you for registering to our webinar “Epic Fail” on APR 29th. A few hours before the event, we will share the access link to attend the session with the email you provided. No software installation is required, just a web browser. You might be also interested in any of our Agile Leadership Certification courses or our Agile Munich conference. We will send you more details about the free webinar and the link to join the webinar a day before the event. No software installation required, you will simply need a web browser.